While almost any man can father a child, there is so much more to the important role of being dad in a child’s life. A father’s role is so important, he has to be a:- caregiver, protector, provider, teacher, nurturer, advisor, psychologist, nurse, a friend and more. A father’s role is central to the emotional well-being of their children especially during those formative years till the age of about 5 years. A father has to wear many hats and they cannot be good at all of them. The Christian father is really an instrument in God’s hand. A father’s first responsibility is to acquaint his children with Scripture. The means and methods that fathers may use to teach God’s truth will vary. 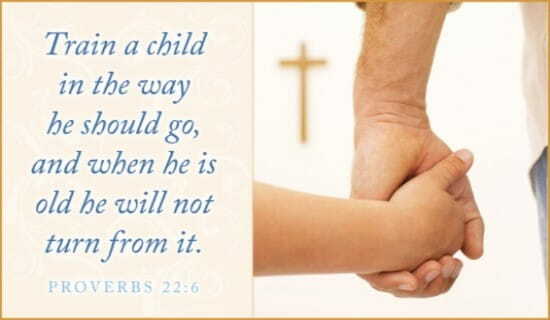 As the father is faithful in role modelling, what children learn about God will put them in good standing throughout their earthly lives, no matter what they do or where they go. We live in a broken world, no judgements needed, fathers have issues too. If your earthly father cannot or could not be the caring, nurturing father that you deserved, allow God the Father to be your father for you, for healing to occur ……..
Great post – as I’m getting older, I’m learning more and more just how important a father’s role is on shaping the lives of his children, which is demonstrated to me through the lives of my close friends/family. I’ve been fortunate enough to blessed with an incredible father, and as a result, I am able to understand God’s love for me and His earthly children in that His love is unconditional and endless, He always has only your best interests at heart and always wants to be in your life to help you achieve greatness. Hopefully this inspires all current and future fathers to keep being their best for their children who will ultimately shape our future! Great to hear that, thanks for stopping by.God bless you .